Here are some thoughts of mine. Often in my day to day work, I need to run a snippet in rails console to fix or investigate issues. 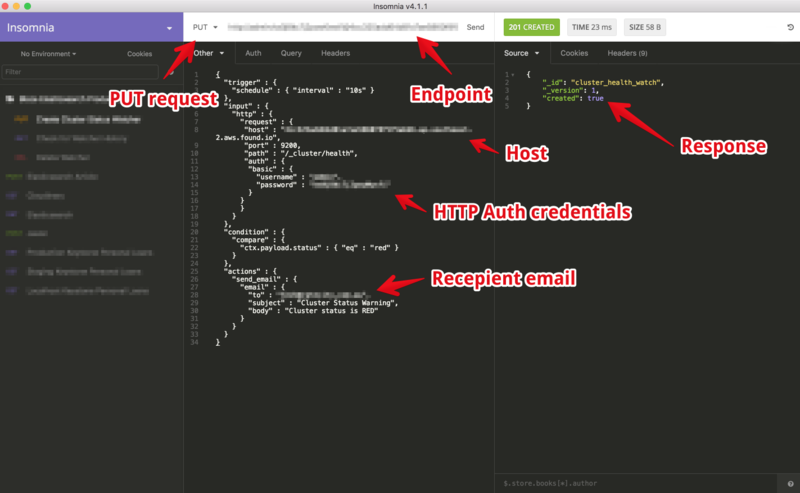 Since our application is hosted on Heroku, I can do this by running heroku rails console --app app-name and in a matter of seconds I am connected to the rails console on production. In some cases, I need to run a really long code snippet especially if the fix needs to touch a lot of data. Usually I will copy the snippet line by line into the rails console because sometimes one of the lines will return a data and it will mess up the snippet. After wasting a lot of time, I started thinking on a better way to do this. That’s when I decided to use eval and open to help me running long code snippet. The idea is pretty simple, I need a place to securely host the code snippet, use open to read the code snippet and run it using eval. After you got the link, you can write 2 lines snippet to read and execute the file. I hope you find that useful and let me know if you have a better way to do this. In the project I am working on, I have to write a test for a function that download CSV from external website and store it locally. I am pretty new in Go so please let me know if I am doing it wrong. The function we want to test is DownloadCSV which expects two arguments. url is a URL endpoint that host the CSV and filename is the name of local file to store the HTTP response. To test the first one, we will use an awesome Go package called net/http/httptest. This package allows us to create a HTTP server and set the response to whatever you want. In the code below, you can see we start with creating the server which return a 200 response status ( line 10 – 12 ). After that, we pass the URL of the server to the DownloadCSV function and also the required filename. At the end, we do the assertion to make sure the function does not return an error. We are using Go testing package Errorf method to output the message if the assertion fail. This is important because we need it to mark the test as FAIL. We are going to use the os package to check the file existence and delete it after the test finished. Three functions we will use are Stat, IsNotExist and Remove. Stat and IsNotExists are used to assert the file existence and Remove will clean up the file after test finished. The simplest way to do this test is to configure the httptest server to return a string and check if that string exists in the test file. We can take this a bit further by using an actual CSV file. You can check out the full code here: https://github.com/rudylee/go-playground and please leave a comment if find any errors. Data store is an important piece in most of the modern applications. The implementation can range from a simple text file to a complicated database systems. In this blog post, I will show you how to use Google Spreadsheet as a data store for your application. Google Spreadsheet provides a convenient way to store, edit, share and retrieve data. This makes Google Spreadsheet appealing if you want to quickly prototype an app and don’t want to spend time building a CRUD interface to manage your data. It is also allow you to output the spreadsheet data in JSON format. 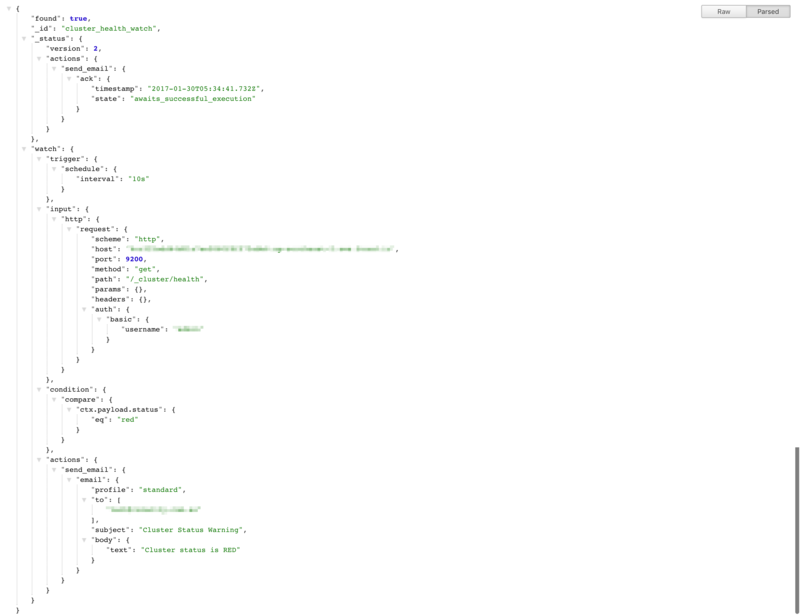 This means you use Google spreadsheet as your JSON API. In order to enable this feature, first you need to publish the spreadsheet to the web. You can easily do this by going to the File menu and choose Publish to the web. This only works if you own or have admin access to the spreadsheet. See the screenshot below. 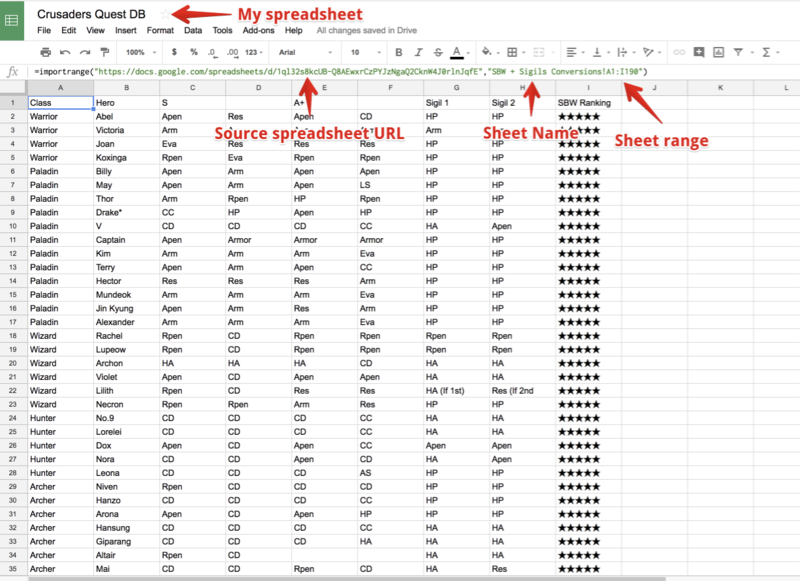 The next thing that you have to do is getting the spreadsheet ID from the URL. In some cases, you might want to use a public Google spreadsheet but it is not published to the web. I discovered from the official Google forum that you can use importrange formula to retrieve the data from another spreadsheet and import it into your spreadsheet. As you might think, this solution is prone to error because the formula will break if the owner of the original spreadsheet changes the sheet’s name. It’s something I can live with since it’s so much easier to update the sheet’s name rather than asking the owner to publish spreadsheet to the web. I’ve been using Trello as my primary task managers for the past couple of years. Recently, I found a very useful feature in Trello that helps me automating the creation of repetitive tasks. This feature allows you to tell Trello to create a card on specified time such as daily, weekly, monthly or annually. At the moment, I am using this feature to create a few daily tasks that I want to do first in the morning such as meditation, coding exercise and learning chinese. I am not a disciplined person and I found that this feature has been helping me forming new habits. I set it to put the tasks on the top of my todo list which makes it difficult for me to ignore those tasks in the morning. Research says it takes around 66 days for a new habit to form. I suggest you to try this feature if you want to create a new habit and make it part of daily routine. You can add the code snippet below to config/initializers/sidekiq.rb if you don’t want to start a separate sidekiq workers. The configuration below will make sure that the sidekiq jobs will be executed without worker process. This is handy if you don’t want to open an extra terminal tab or tmux window for worker process. 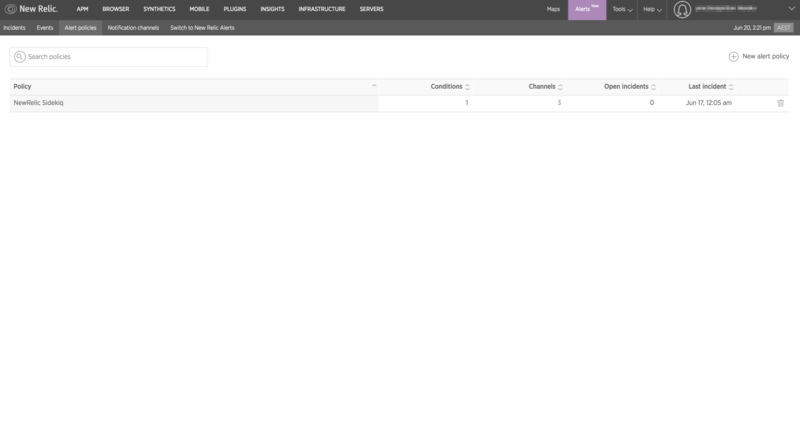 Last weekend, one our apps that is hosted on Heroku were reporting a lot of R14 errors. R14 is an error that thrown by Heroku if the machine is running out of memory. I quickly jumped into (logentries)[https://logentries.com/] to download the log file and opened it in Sublime Text. However, I was having problem finding the request that is causing the problem because we also have our background job workers reporting R14 errors. 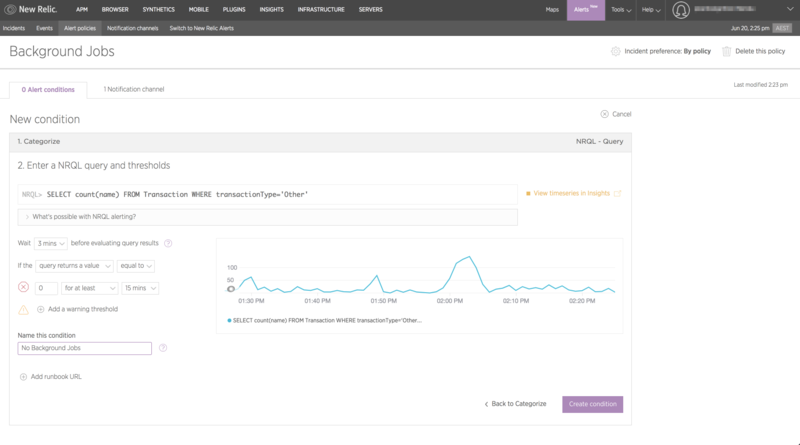 In this blog post, I’ll show you how to set up an alert to monitor your sidekiq jobs using New Relic Query Language and New Relic Alert. I was given a task to find a solution to monitor our sidekiq jobs. In the past, I used New Relic Sidekiq Plugin ( https://newrelic.com/plugins/secondimpression/131 ) to do this. The plugin is a Ruby app that connects to your Redis instance, retrieves all of the sidekiq metrics such as jobs, queues and send it to New Relic using the agent library. This means you need to host the Ruby app somewhere and make sure the plugin can connect to your Redis instance. However, I found a much better solution using NRQL that doesn’t require you to set up a new server or install any plugins. The New Relic Query Language (NRQL), similar to SQL, is a query language for making calls against the Insights event database. NRQL enables you to query data collected from your application and transform that data into dynamic charts. From there, you can interpret your data to better understand how your application is used in a variety of ways. Using NRQL, You can run a query to get the amount of background jobs that has been executed for a specific time period. After that, you can set up a condition when it will fire the alert. In the screenshot below, you can see that I set the alert to fire if there are no background jobs running within 15 minutes. I hope this tutorial will give you an idea on how to monitor your background jobs. Last week, I was busy migrating our staging and production Elasticsearch clusters from AWS Elasticsearch to Elastic Cloud. The reason behind this migration is because we need dynamic scripting feature in our application and Elastic Cloud is the only managed Elasticsearch hosting that currently supports dynamic scripting. In terms of pricing, Elastic Cloud is slightly more expensive than AWS Elasticsearch. I think this is because they are using AWS EC2 under the hood. You can compare the pricing of both services here https://aws.amazon.com/elasticsearch-service/pricing/ and https://www.elastic.co/cloud/as-a-service/pricing. As of now, Elastic Cloud supports the latest version of Elasticsearch which is 5.1.2. If you like living on the edge, I recommend you to try Elastic Cloud. On AWS, we can use Cloud Watch to monitor our Elasticsearch cluster health status as well as monitoring other metrics such as memory and cpu usage. 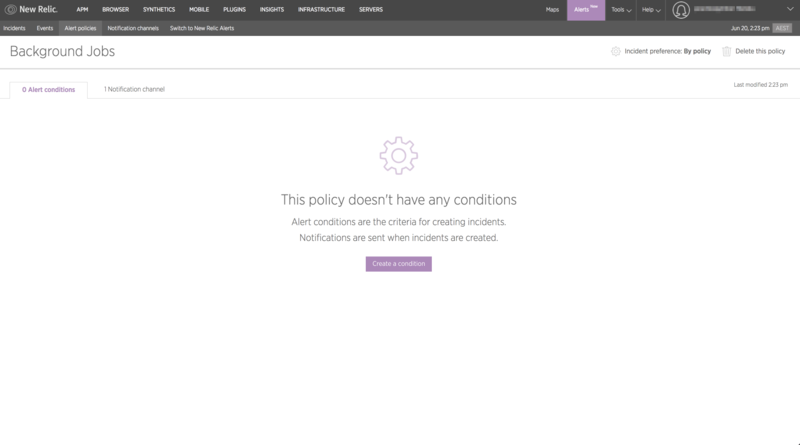 With Elastic Cloud, we have to use Elastic Watcher or Alerting to monitor and trigger alerts. 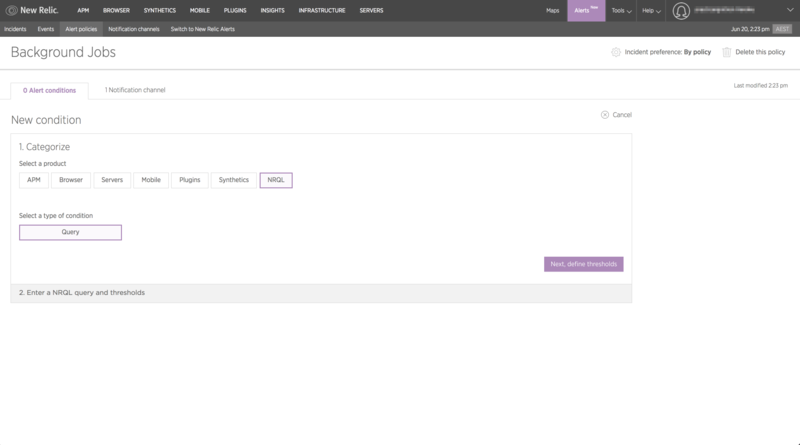 Currently, there is no UI to set up the watcher on Elastic Cloud. To create a watcher, you have to send a PUT request to your cluster. Please note that this blog post is based on Elasticsearch version 1.7.6 and Elasticsearch Watcher version is 1.0.1. 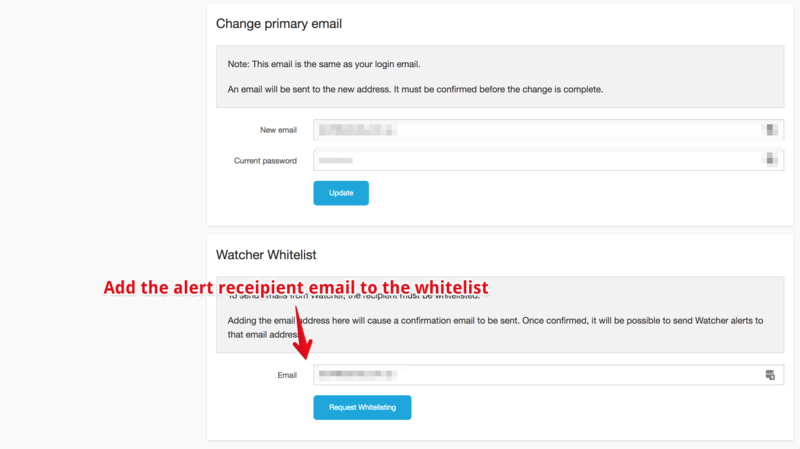 Shortly after that, you will receive an email to confirm this request for whitelist. Confirm the request and you are ready to receive email from Elastic Cloud. Now open up your REST client app or if you are one of those CLI Guru, you can stick with CURL. As I mentioned earlier, we will send a PUT request to our cluster to create a watcher. You have to replace elastic-cloud-username, elastic-cloud-password and elastic-cloud-cluster-host with your cluster details. In a nutshell, the request above will create a watcher that will get triggered every 10s, gets the input from our Elasticsearch /_cluster/health page, checks for cluster status ( see condition section ) and sends an email if the condition is matched. If the query returns a hit, it means that your watcher has been triggered. This is helpful during debugging. That’s it for now, the next thing I need to figure out is to create alerting for CPU and memory usage. I’ll leave it for another blog post. Last month, I traveled to China for the second time. Unlike my first trip, this time I am more prepared to bypass the great firewall of China. After an extensive research and also a recommendation from one of my friends, I decided to install an L2TP VPN server in Japan. I choose Japan because it’s close to China and I can use Tokyo AWS Region. I ended up using this ansible playbook that I found when I was looking for tutorials https://github.com/jlund/streisand. It’s basically an Ansible Playbook which help you to install various software such as OpenVPN, L2TP, Tor, etc. You just need to run one shell script and it will install all of those software to your target host. Since I already have ansible installed, I just need to clone the project and run the setup script. If not a complete tutorial on how to get started you can check this installation guide here https://github.com/jlund/streisand#installation. When you run the setup script, it will ask few questions such as where to host the server, AWS Access Keys, etc. I am using AWS because I can use the free tier to run the VPN server. On AWS, it will take around 45 minutes to finish the whole installation process. When the whole installation finished, the playbook will create instructions files in the server. You need to SSH to the server in order to view the instruction. In the file, you will find instructions on how to connect to the L2TP server from all different operating systems. 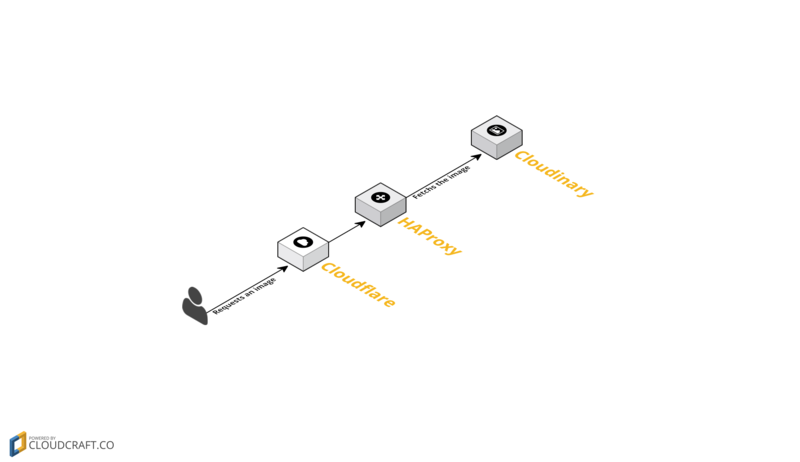 We are using in one of our applications Cloudinary to host and resize images on the fly. 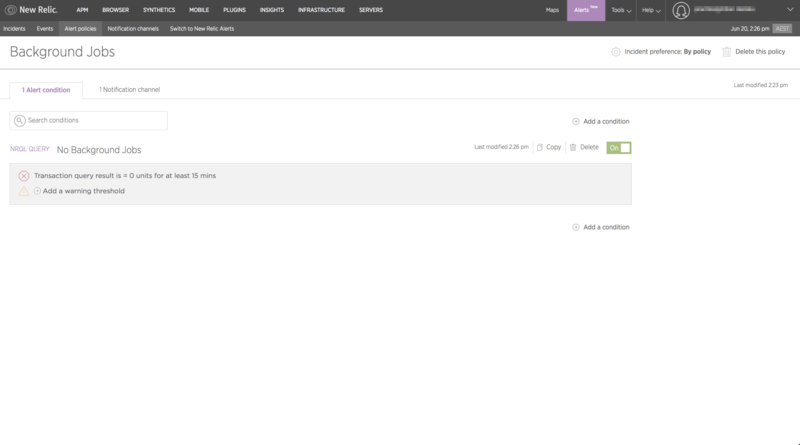 We are also using Cloudflare for our CDN and DNS management. I was given a task to setup a CNAME subdomain in CloudFlare to forward the request to Cloudinary. This way we can still have the benefit of serving static images from CDN as well as reducing the Cloudinary bandwidth usage. Next one is to create a new backend. Requesting the images through SSL should work if you have SSL termination configured in your HAProxy.